The purpose of the visit was to acquire knowledge about Norway’s support mechanisms for green transport, as well as to explore Norwegian technology and concrete solutions for zero and low emission transportation. In the Kjeller Science Park, Rahul Gandhi was welcomed by Mali Hole Skogen, the CEO of OREEC -Oslo region’s cleantech cluster, as well as representatives of public and private organisations in the region. 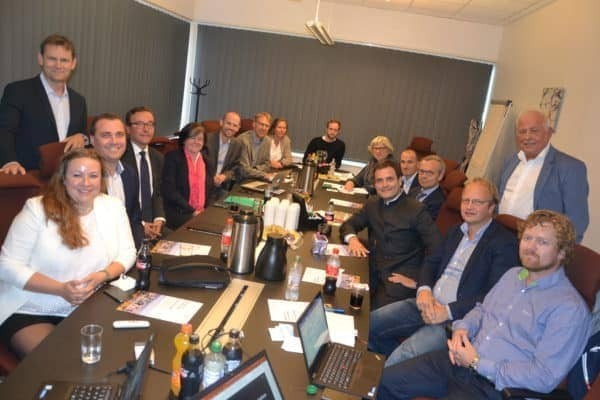 Following a presentation of the cluster’s projects focusing on green and smart mobility, Rahul Gandhi learned about the efforts of Akershus County to support hydrogen and electric mobility from County Mayor Anette Solli. He also met Jon André Løkke, the director of the Norwegian company Nel, a hydrogen technology provider and was presented with the company’s ambition to supply its technology around the world. In addition, he also met Øystein Ulleberg, research leader at the Norwegian Institute for Energy Technology and Christian Møller from Kongsberg Digital who talked about the rapid pace of technology development within the zero-emissions transport sector. The meeting also included presentations from Christina Bu, CEO of the Norwegian EV association, Jan-Olaf Willums, entrepreneur and founder of the car service Move About and Bjørg Andresen, CEO of the Norwegian hydrogen technology company ZEG Power. Discussions during the meeting focused on Oslo region’s unique global position within green transport sector and how can the region provide its solutions and technologies to other countries, such as India, in need for more sustainable development. 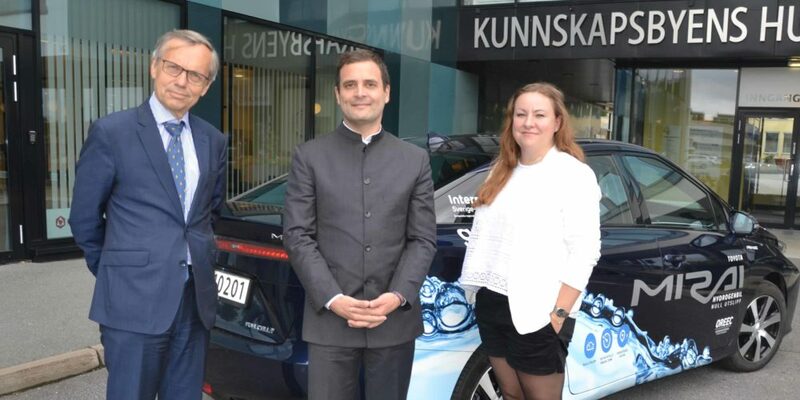 During his visit in the Kjeller Science Park, Rahul Gandhi also had the opportunity to test drive OREEC’s hydrogen fuel cell car, a Toyota Mirai.